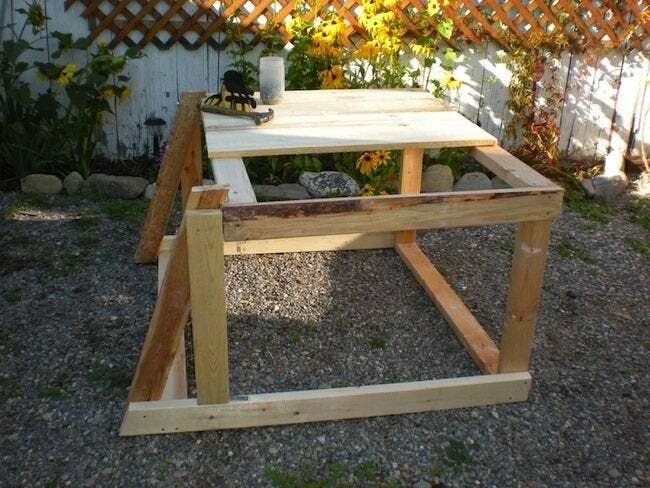 A repurposing pro makes her own trash enclosure for $30—and you can too. Who hasn’t admired a great product in-store before balking at the price tag? When daring DIYer Anne Davis saw a $300 plastic trash can shed, she was determined to build her own on the cheap. And she succeeded in doing just that—spending only $30! Now, that’s Genius! This project is par for the course with Anne. “I love the challenge of building and creating things that I see and would like to have,” she says. But there’s a limit to her DIY prowess—when it comes to upholstery, she’d rather buy than DIY. For readers looking to get their feet wet with power tools, she recommends a shelving unit for the garage. “If you mess up on the project, it isn’t front and center in your home!” she points out. 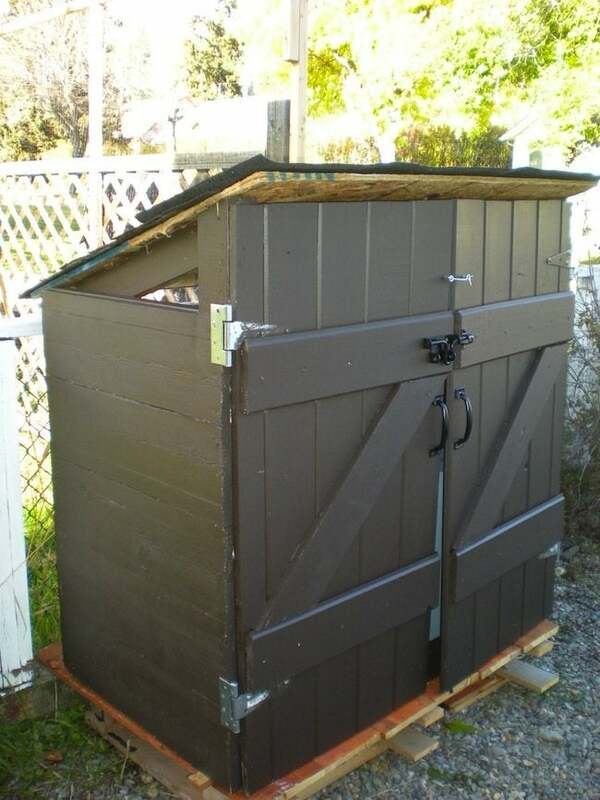 For pointers on making your own DIY garbage shed, read on. 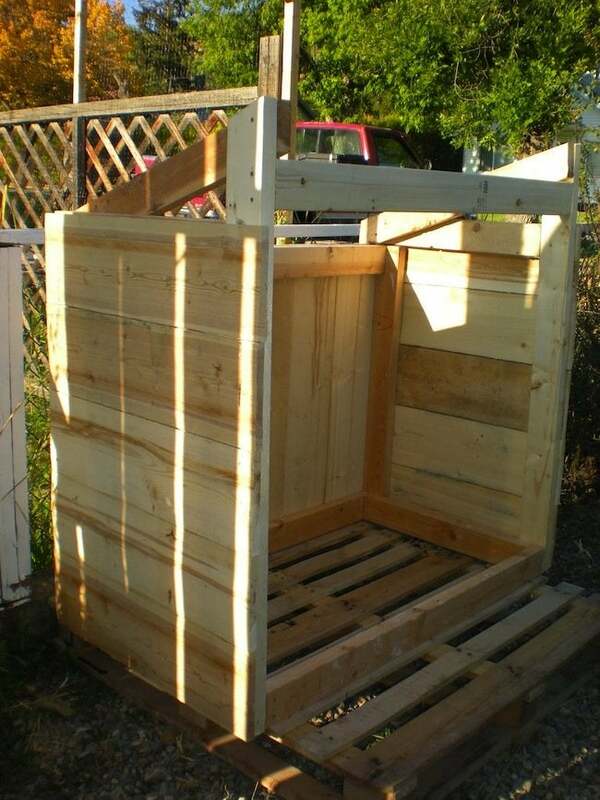 I found a plan online for a garbage container and wood shed that looked fairly easy to build. I modified the plan to suit my needs and began cutting the wood. All I have is a circular saw, so that’s what I used. I used a cardboard template for the angled roof rafters so I could cut the two pieces with the same angle. 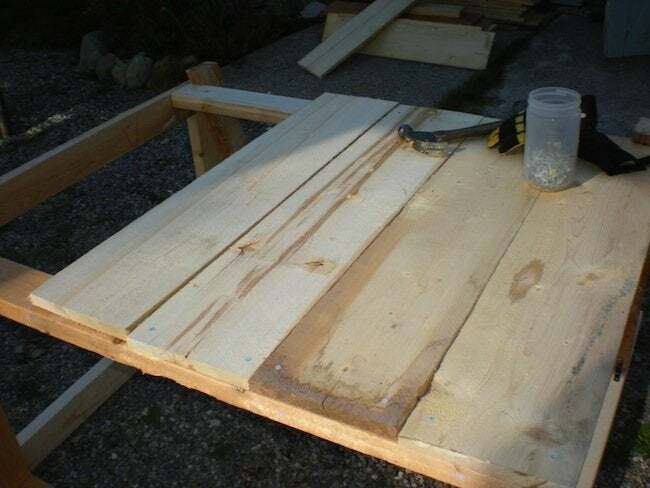 Then I built the very basic frame and began attaching the fence boards as siding. I used a pallet as the base. Anne was able to create this project for $30 by using repurposed items she or her neighbors had on hand. Here’s the breakdown. Total out of pocket cost: $30.00—a far cry from $299 plus tax!! Now I can have my garbage in my front yard, neatly hidden away. And it’s quick and easy to chuck it out to the curb on garbage day. I need to paint the underside of the roof and attach a couple of pieces of lattice over the triangular openings on both sides. But it looks not half bad, even if I do say so myself! 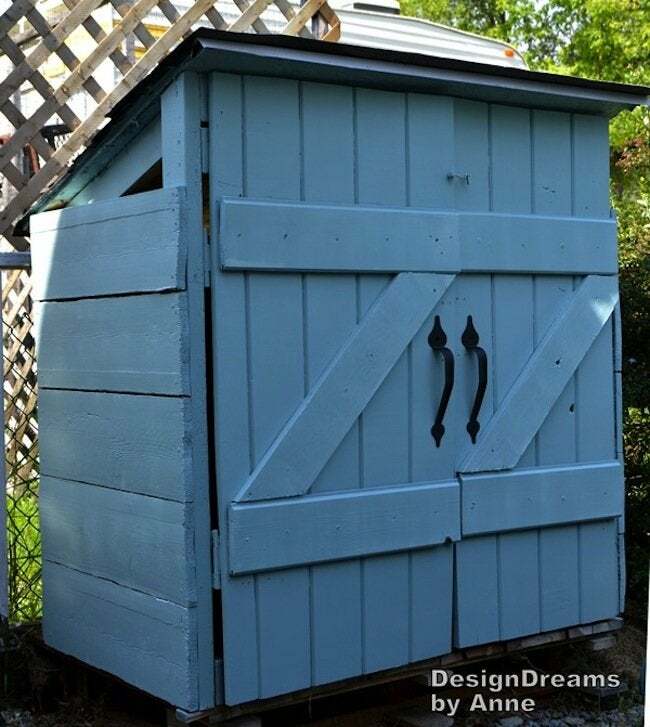 A year later, Anne gave her DIY garage shed an upgrade with new paint and hardware. It’s certainly held up to the elements and looks great. Thanks to our Genius blogger Anne Davis for sharing with us! To read more about her first repurposing project a mini greenhouse made from old windows, or check out her successful bathroom remodel, find Anne on her blog.